These modes are intended in general to extract information from the recording to then map it to channels that are not found in the recording, but are in your surround system. At times it may be best not to use this extra processing to create extra channels from the limited number available in the source. If the source is a match or has more channels than your system (5.1 for 5.1 for example) this type of processing should not be used. The channels in that case will be mapped to their respective speakers using logic based on the bass management and speaker topology you are employing. It’s important to realize that in true surround sound, the rear and side speakers may rarely be heard during a given program. In their purest sense, they are utilized for special sound effects, (battle noises, planes flying overhead, telephones ringing or doors slamming, some music cues). A big hollywood war movie may have very intricate battle sounds coming from all the various speakers. A small independent movie or a locally produced program may have just a couple noises heard from the rear speakers. Sports program often use the surround channels for crowd noises and music. Clicking on a surround mode for a program without it can definitely enhance the theater experience if you match up the programming, your system, and the setting. Surround processing for movies, sports or other sources that include dialogue can benefit from using one of the movie modes found in your typical surround processor. These modes will redirect much of the sound found in the left and right channel to the center speaker if the recording has no center channel information. They will also put ambient sound in the surround speakers if it is a 2 channel source. Prologic IIx will also put surround sound in the back channels if is is a 5.1 source augmenting the pan. These modes can make dialog much easier to understand and add surround channels to a source that did not have those channels encoded in the source directly. I recommend Dolby Prologic IIx Movie processing for 5.1 and 7.1 surround systems. DTS:Neo6 Cinema is the recommended mode for a 6.1 surround system. 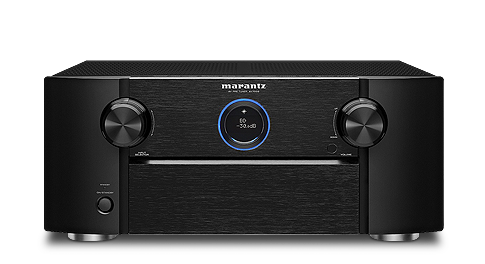 There is a good, basic list of the settings that you will probably find on your receiver and how the sound will be mapped onto your system. Experiment a little bit with your particular home theater setup, and remember that surround sound system settings will vary from program to program.